Licensed chiropractic physician Dr. Schulze uses the activator method to perform spinal realignment therapy and treat disorders of the nervous and musculoskeletal system. Schedule an appointment today. 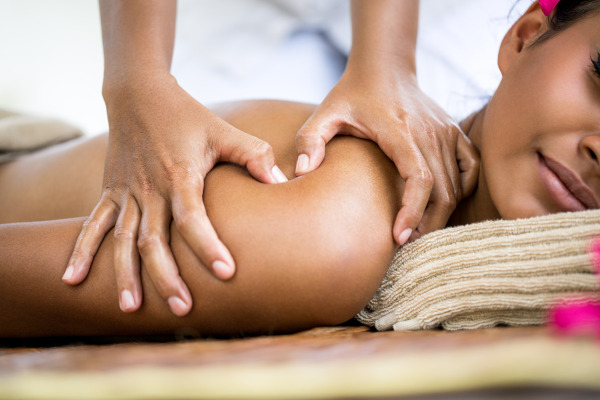 Massage therapy in Mt Prospect IL from Dr. Schulze offers endless benefits to patients. Schedule an appointment to loosen sore muscles, relieve chronic pain, promote natural healing and more. Schedule a cold laser therapy appointment with Dr. Schulze in Mt Prospect IL to promote natural healing and treat migraines, allergies, chronic fatigue, menstrual irregularity & more using the Aura PTL 2 Laser treatment. The classical techniques of Yoga date back more than 5,000 years. In ancient times, the desire for greater personal freedom, health and long life, and heightened self-understanding gave birth to this system. Contact Dr. Schulze to schedule acupuncture therapy in Mt Prospect IL. Acupuncture is an ancient healing art based on the insertion of thin, sterile needles into the body along specific energy meridian pathways. At Schulze Chiropractic, we specialize in restoring and improving the integrity of your nervous system to help improve your body's own natural healing ability and immune system response without the risky side effects of drugs or invasive surgery. We don't just treat your symptoms. Our goal is discovering the source of your pain or health-related problems & correcting it. This holistic, common sense approach to health is the reason more and more people are looking to chiropractic to obtain and maintain total body health. Many people also look to chiropractic services to complement their wellness protocol along with diet, exercise and healthy lifestyle, or to optimize athletic performance. We're committed to providing safe, high-quality and compassionate care. We warmly welcome new patients of all ages - including infants and children. We look forward to evaluating your health and designing a comprehensive care plan to get and keep you feeling your best! As a licensed Chiropractic Physician with over two decades of experience, Dr. Katarina Schulze offers clients complete body health. If you are looking for a chiropractor in Mount Prospect, Arlington Heights, or Des Plaines, look no further than Schulze Chiropractic. The joints in your spine are very close to your spinal cord and nerve roots. Spinal alignment therapy positively impacts your central nervous system, helping you combat pain and fatigue. Get natural back pain relief. Schedule spinal alignment therapy in Mount Prospect today. Relax. Breathe deeply. Schedule massage therapy in Mount Prospect today. Treat back pain through holistic healing. Schedule acupuncture therapy in Mount Prospect today. Schedule laser therapy in Mount Prospect today. Cherish your health – make it a top priority in your life! Please contact our Mount Prospect chiropractic clinic online if you have any questions. We'll be happy to assist you. Happy with your therapy session? Leave a review to let us know how you feel.